It's that time of year again! That's right. With spring comes warmer weather, finals, and college move out. This will be my second time moving out of my college dorm for the summer (I'm living in an apartment next year, yay!). 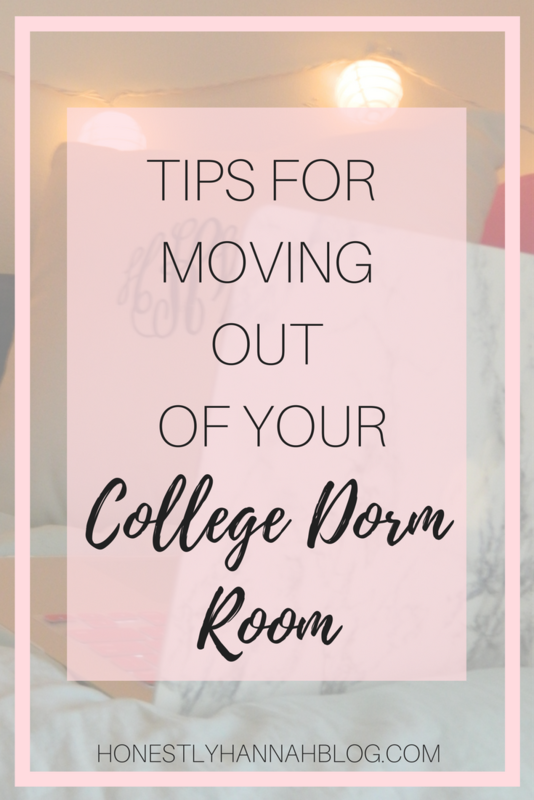 College move out can be really stressful, so I wanted to compile a list of tips for making the process as quick and painless as possible. Start packing ahead of time // This is SO important if you want the process to go smoothly. Trying to pack everything at the last minute will literally lead to chaos, and everyone will be stressed. Plus, you'll end up throwing things into bags and you won't be able to find anything that you need when you get home. I like to at least start organizing a week in advance (I'm a pretty neat person, so if you're messy, you might need a bit more time). I literally do a small thing everyday. For example, I organized my desk drawers the other day and threw out miscellaneous papers that I didn't need. Ask your parents to bring boxes and trash bags // These items are a must if you're moving out of a dorm. Trash bags are great for soft things that you don't want to put into bags, and boxes are perfect for the more fragile items on your desk or even textbooks. Eat any food that's left // I always have a bunch of snacks, so I make sure to eat these before move out. There's nothing worse than having to lug food home that takes up space in your car. Try to stop buying new snacks a few weeks before move out to ensure that you won't have a ton of food to either throw away or take home when it comes time to move out. Put your hanging clothes in a trash bag // I discovered this trick online last year and it's a true lifesaver. Click here to see exactly what I mean. This strategy is so helpful because it helps save room in your suitcase for folded clothes, jeans, shirts, and even shoes. Cram as much into your suitcase as possible // Unused space is a big NOOOO for move out. You want to shove things in absolutely every nook and cranny to try to take up as little space as possible. I like to try to fit my folded clothing, shoes, toiletries, makeup, etc. in my large suitcase (I have this one and it fits so much stuff!). Roll your clothes instead of fold // Any clothes that you have at school that are folded up in your drawers should instead be rolled in your suitcase to preserve space. You'd be surprised how much you can fit into your suitcase if you pack in this efficient way. Start cleaning ahead of time // Just like you should start packing ahead of time, it's also a good idea to start cleaning ahead of time! Wipe down any surfaces that need cleaning and vacuum/sweep your floors. You'll definitely need to clean again after all of the items are removed from your room, but it's easier to get some of it done beforehand so you don't have to spend too much time doing that. You can read my full guide to cleaning your dorm room by clicking here. Label things // A lot of the stuff you pack up you'll probably need over the summer, but there will also be a lot that can stay packed up for next year's move in (such as desk supplies or miscellaneous dorm room decor). Label the different boxes with what's inside of them, such as "desk supplies," "dishes/mugs," "pictures," etc. Also, make sure to label any boxes with "FRAGILE" if they contain fragile items so nothing gets thrown around that shouldn't! Move out with preferably one other person // Last year both my parents came down to school to help me move out (which was great!) but having three people traveling back in the car was kind of a waste of space. Luckily, this year I have my car as well, but we will still be attempting to fit everything into one car. Just my dad is coming down this year so we have full use of the back seats and even the passenger seat. As much as both of your parents want to come to help you, try to explain that having only one of them come will save a lot of space. Plus, you can always recruit friends who are moving out later than you to help. Don't stress! It's almost summer! // While moving out can be an overwhelming and exhausting experience, it's important to remember that when it's all over it's going to be summer. No classes for 3 months, woo! Take your time moving out and try not to get too stressed out. Take a break if you need. Eat a snack. It will all be okay. 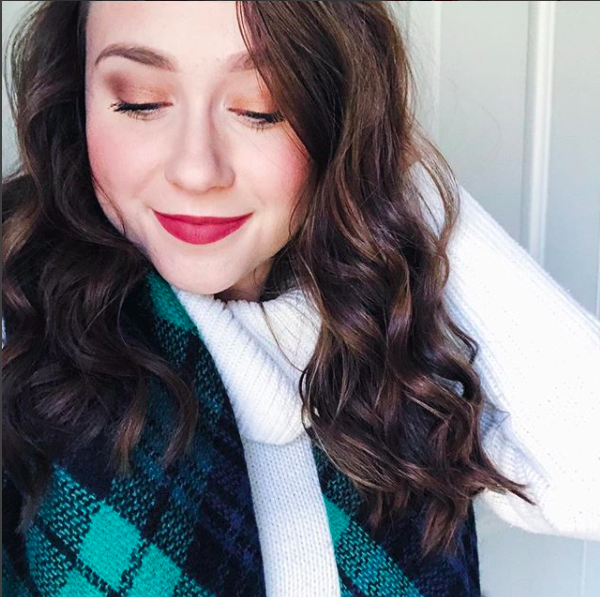 What tips do you have for moving out of college? Also, can you guys believe the semester is practically over?! the freight elevator worked, Andrew's box truck, the fork-lift back at the Milburn location, and the combined energy from all involved. I had lots and lots of stuff in my college dormitory so I had to get the Royal moving co to get them away. I didn't expect my dormitory to look so empty afterward, it was all nothing.